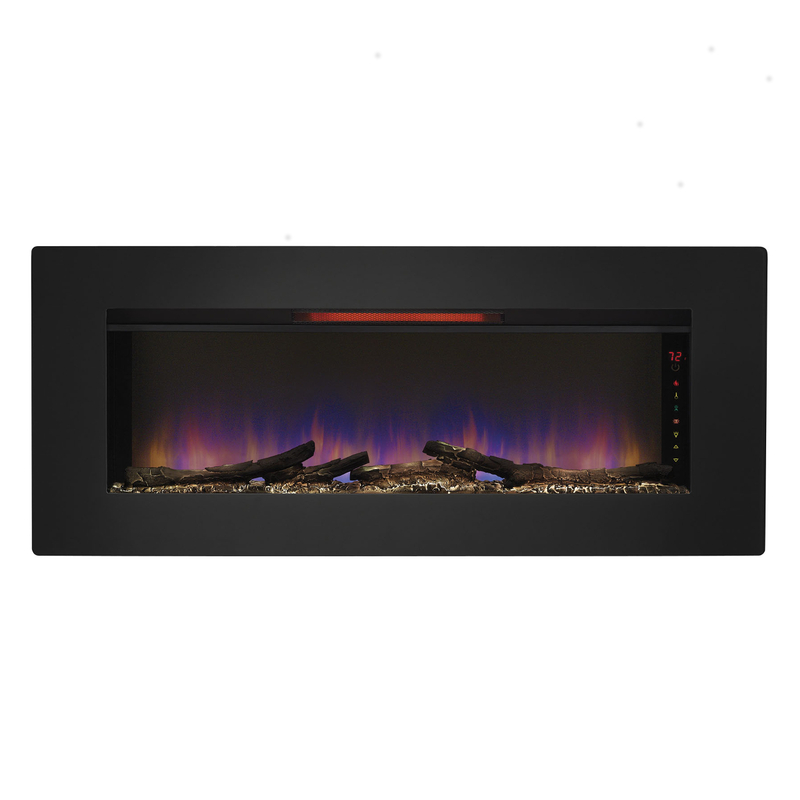 The Classic Flame “Felicity” Infrared Electric Fireplace Wall Mount/Insert 47II100GRG has a 1500W / 5200BTU heater w/fan and adjustable flame brightness and a fixed glass front. Simply plugs into a 120V wall outlet or can be hard wired. Safer Plug™ Included, 5 flame colors and speeds in the Spectrafire® package. This modern design hang on the Wall or insert into wall electric fireplace comes with a 1 Year limited manufacturer’s warranty. This 47″ Classic Flame Felicity Infrared Electric Fireplace Wall Mount/Insert 47II100GRG lets you maintain a safe, moist heat in your home without venting or gas lines. The Elysium can be hung as wall décor, and can also stand independently using the included custom display stand providing the look of a roaring fire year round with or without heat. There are many ways to customize your fireplace with 3 media types included – fire glass, white & clear rocks, and log set. Choose between 3 blue flame effects or a traditional flame effect. Equipped with SaferPlug™ fire prevention technology. Safer Plug shuts off automatically if temperatures become unsafe.